Microsoft today announced new features for Xbox Insiders. The new features include Arena on Xbox Live, Profile and Activity Feed, Clubs and Looking for Group. Below is a summary of what’s starting to ship over the next month to select Xbox Insiders. Custom gamer pics are finally here! From your console, Windows 10 PC, or mobile phone, update your gamer pic with a custom image. We’re excited to bring this top fan-requested feature to Xbox Live and expect it to be in preview longer than other features to ensure it’s great for everyone when released. When you create an LFG post, as the owner you will be able to see new betting cards that include hero stats from gamers interested in joining your party. Hero stats are contextual to the game you’re playing, showing you relevant stats like kill/death ratio, rank, or score. Club owners can upload custom images for their Club logo and Club background. Just like custom gamer pics, we expect this to be in preview longer than other features to ensure it’s great for everyone when released. 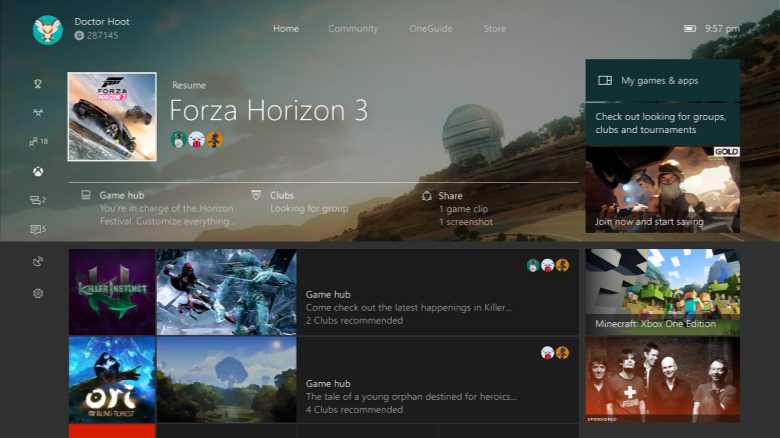 These features will appear for select Xbox Insiders over the next few weeks.